Chrysler has given the characterful 300 SRT a healthy refresh, with more power, more refinement, and more equipment. Is it still one of the best barnstormer bargains of the decade? 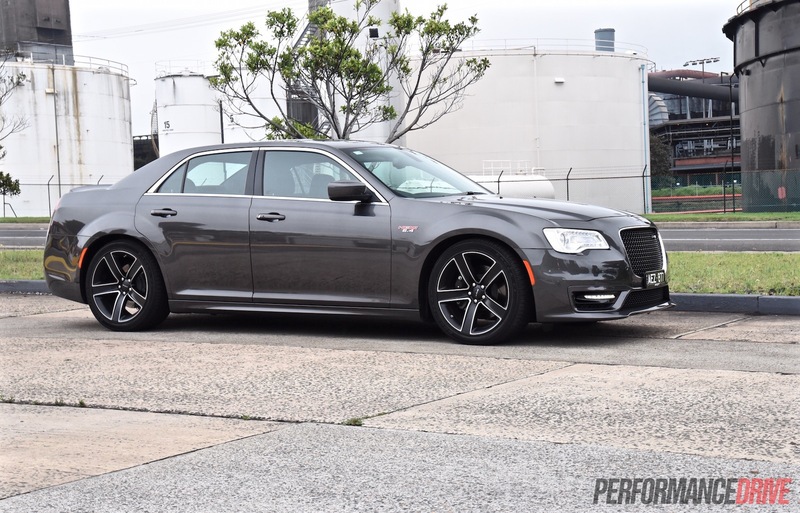 The Chrysler 300 SRT and SRT Core (essentially the same car) are unique vehicles, with the 2016 model designed specifically for the Australian market. 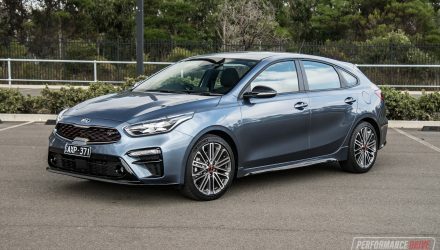 They compete in a dying vehicle segment with the likes of the Holden Commodore SS and HSV models, and the Ford Falcon XR8. 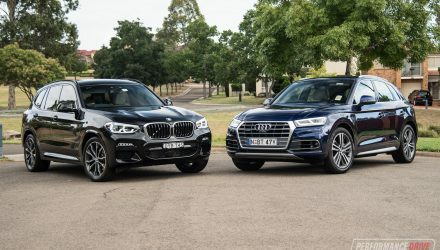 They also put up a fight against some of the much more expensive German muscles cars in terms of on-paper speed and specs. 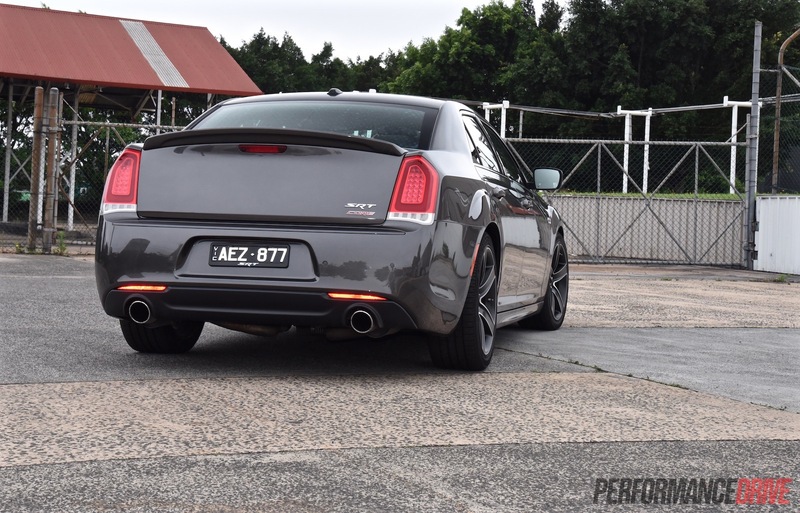 For 2016, the titanic 6.4-litre HEMI V8 has been revised and now churns out 350kW and 637Nm (up from 347kW and 631Nm). Behind the mighty unit is a new TorqueFlite eight-speed automatic transmission, finally, replacing the old five-speed auto. It dissects and distributing power to a mechanical limited-slip differential. Prices have jumped slightly but to a reasonable degree we think. 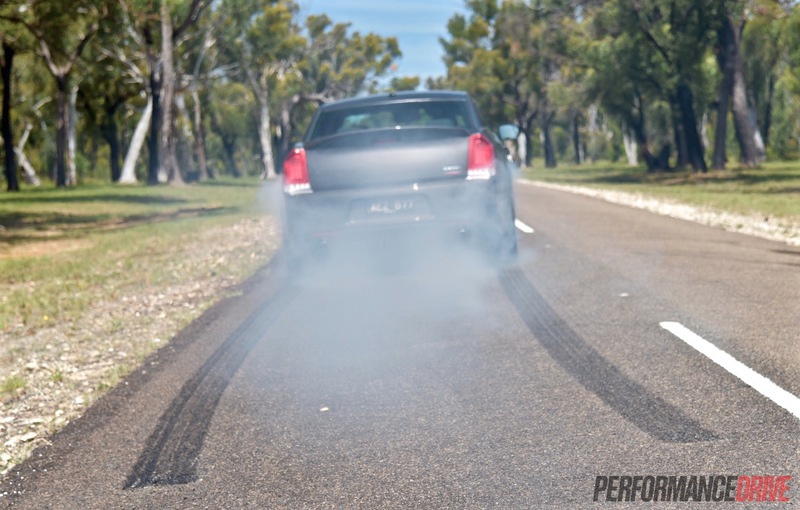 The SRT Core (as tested) kicks off from just $59,000, while the SRT starts at $69,000 (excluding on-roads). 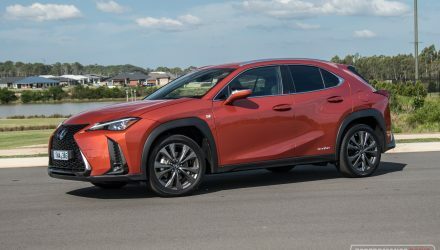 These prices are up $3000 from the previous models, making the Core version in particular one of the best bang-for-your-buck vehicles currently on sale. 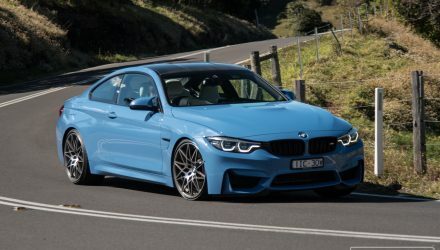 In fact, there is no other vehicle on the market at the moment that offers 350kW (or more) for less. 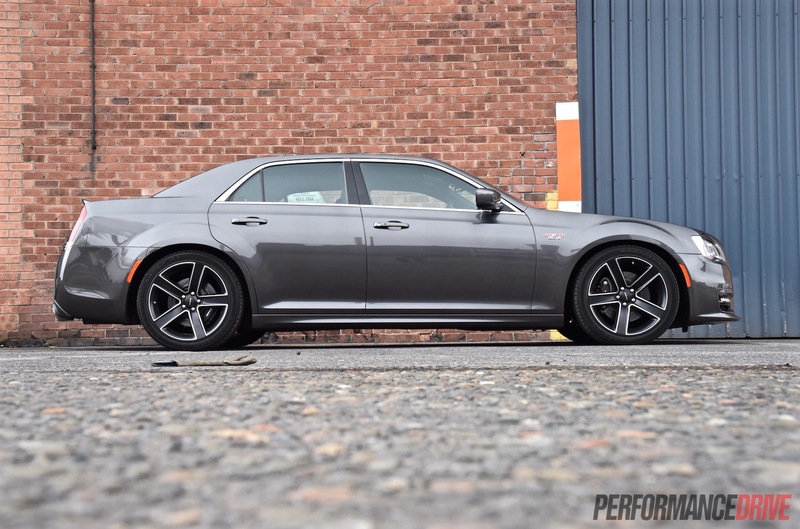 The 300 remains an impressively packaged vehicle for the money. 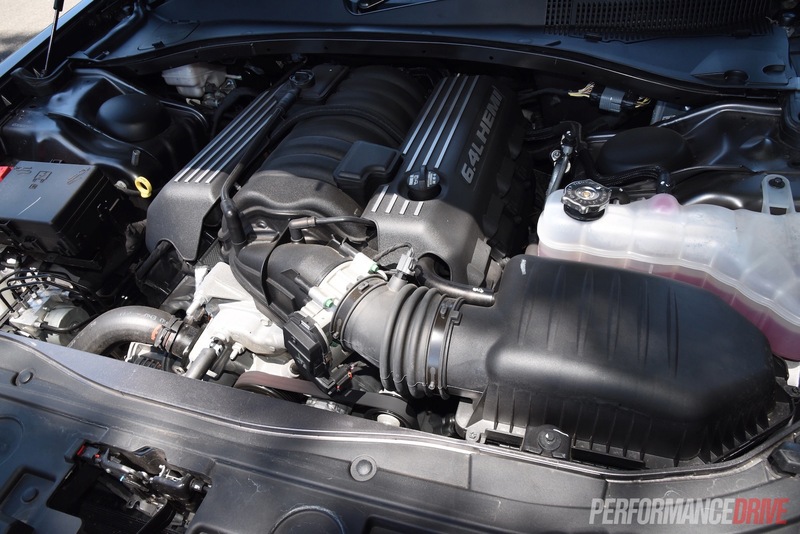 In both SRT forms you get pretty much everything you’d expect on a $100k car, and more in some cases. An 8.4-inch Uconnect touch-screen interface is standard, incorporating various apps. 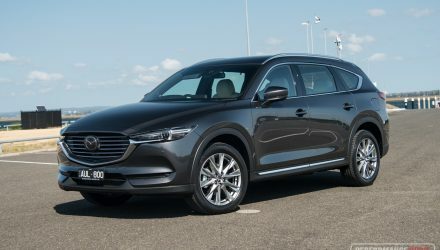 There’s also three-zone climate control, power front seats, USB ports for rear passengers, cornering bi-xenon headlights, a digital instrument display for the driver, and keyless entry with push-button start. All of this is standard. 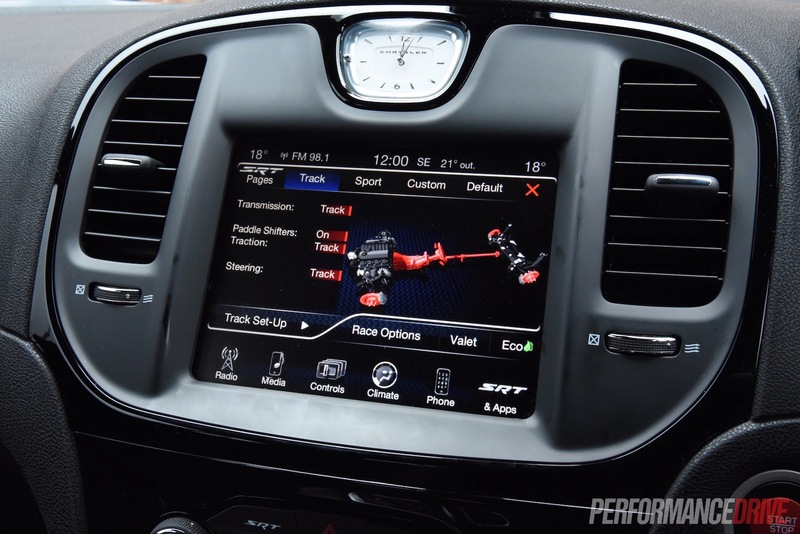 In terms of the performance stuff, you get a cool “SRT Pages” application within the Uconnect system. It offers various timers and real-time performance figures, acceleration timing and data logging, and a g-force gauge. 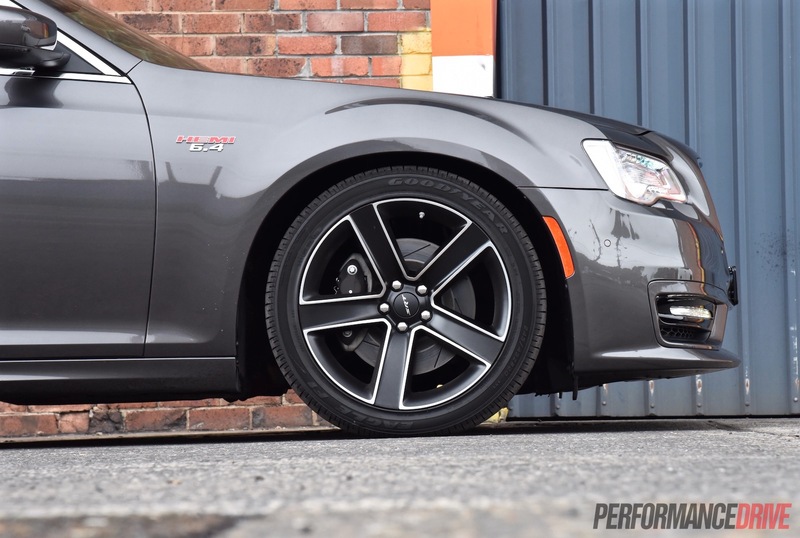 Sports suspension is standard, along with Brembo brakes (four-piston at front) hiding behind 20-inch wheels, and programmable launch control. We can’t stop thinking about that initial price tag. 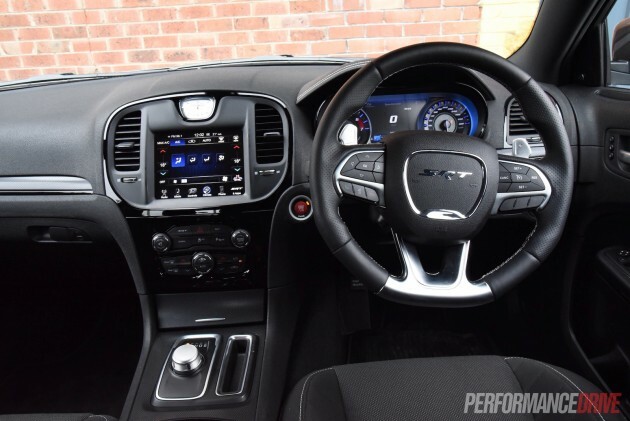 For 2016 a new rotary-style gear selector has been introduced inside which is a more modern setup compared with the old, somewhat flimsy gated shifter. 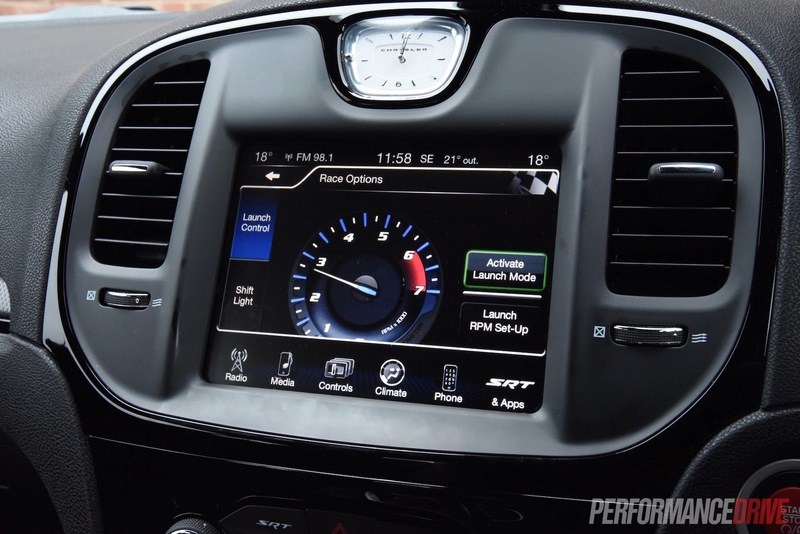 Chrysler has also updated the dash and trim for a more premium look and feel, and it seems to work well. The driver now views a 7.0-inch instrument cluster display in between two gauges too, replacing the previous smaller unit. Comfort and space is superb, as always. The big cushy seats do more for your backside than hug you in, but they suit the nature of this big cruiser perfectly. In Core specification they are wrapped in a durable cloth with special SRT stitching. 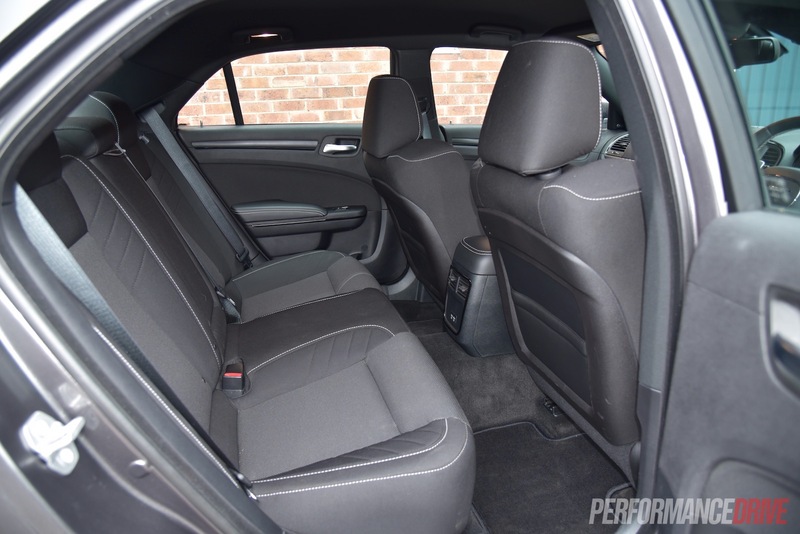 Headroom and legroom isn’t going to be a problem for most people, sitting in the front, however, the rear seats are slightly tighter than those fitted in the Holden Commodore and Ford Falcon in terms of legroom, especially in the middle. So, should you fork out for the top SRT or stick with the SRT Core? The additional $10,000 for the SRT gets you sat-nav, leather trim, forged wheels with red-painted brakes (compared with black on the Core), carbon fibre interior trimmings, a 19-speaker Harman Kardon stereo with a pumping sub-woofer, adjustable dampers, and some advanced safety tech such as adaptive cruise control with forward collision warning. 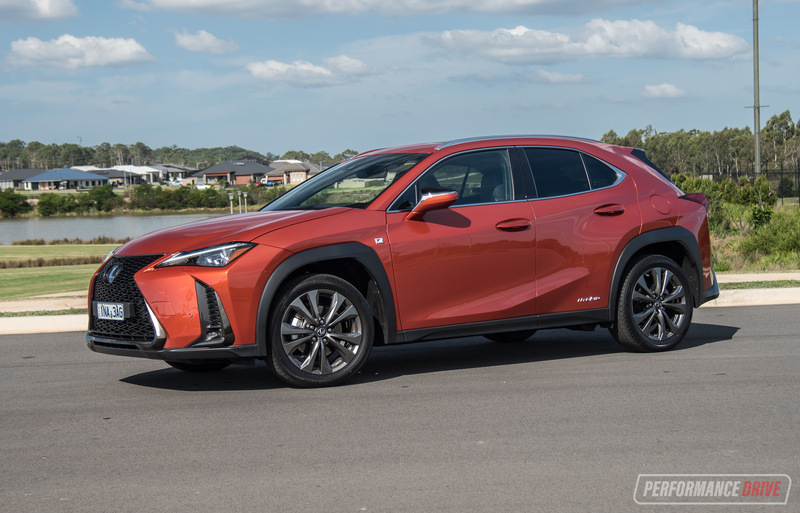 In our opinion the extra money is worth the extra features, but it’s just a matter of whether you need such features in the first place that determines the decision. 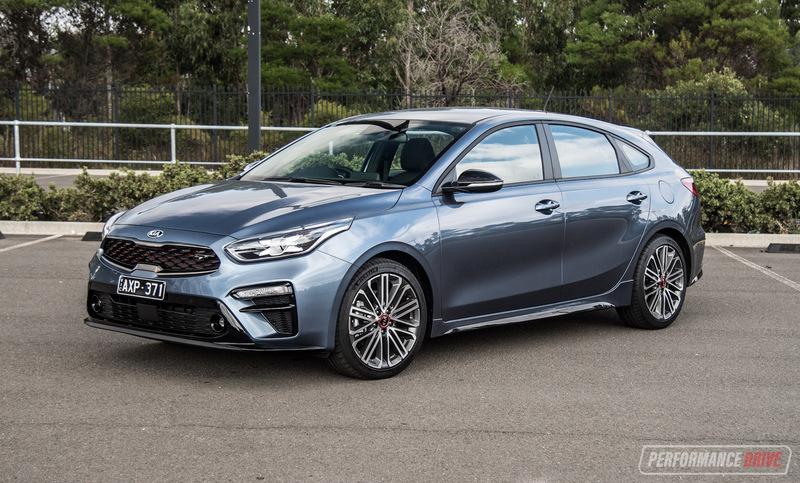 Okay, so it’s got more power and torque and a new eight-speed automatic. Do you feel any difference in performance over last year’s model? The 6.4 HEMI is still one of the most likable V8s around we think. 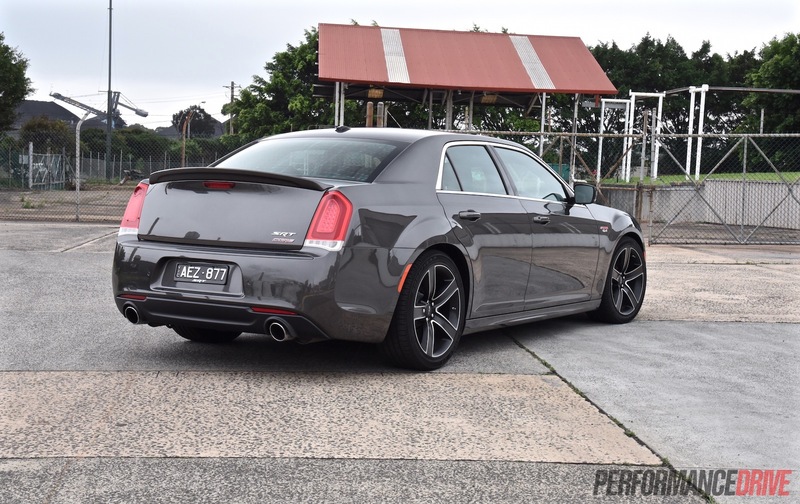 It produces a very low and rumbling bass soundtrack when it’s idling, and revs out beyond 6000rpm, which is pretty high for a large American V8. You don’t really notice the added 3kW and 6Nm, but it’s the way it all comes together that makes it more useable than before. Most of the credit should be directed toward the eight-speed auto. 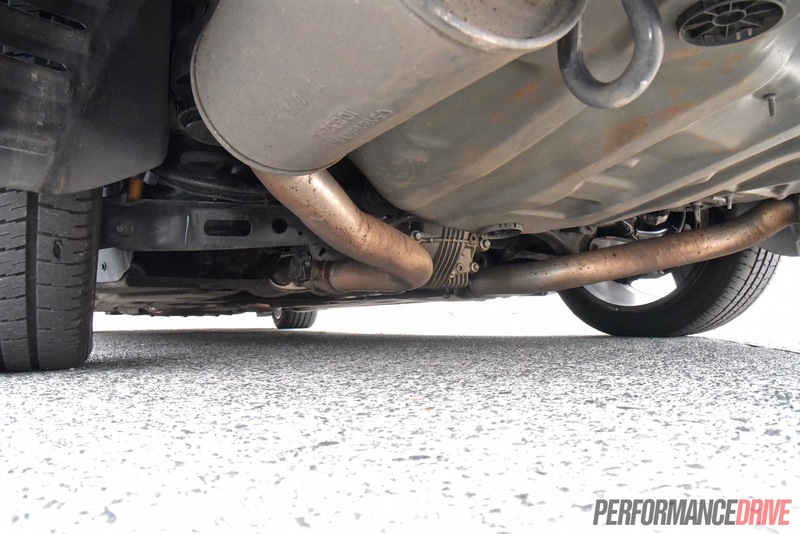 Not only does it divide up the engine’s output and spread it over more ratios, it’s also quicker and more responsive. Shift times are cut from 400 milliseconds to 250 milliseconds when in Sport mode. 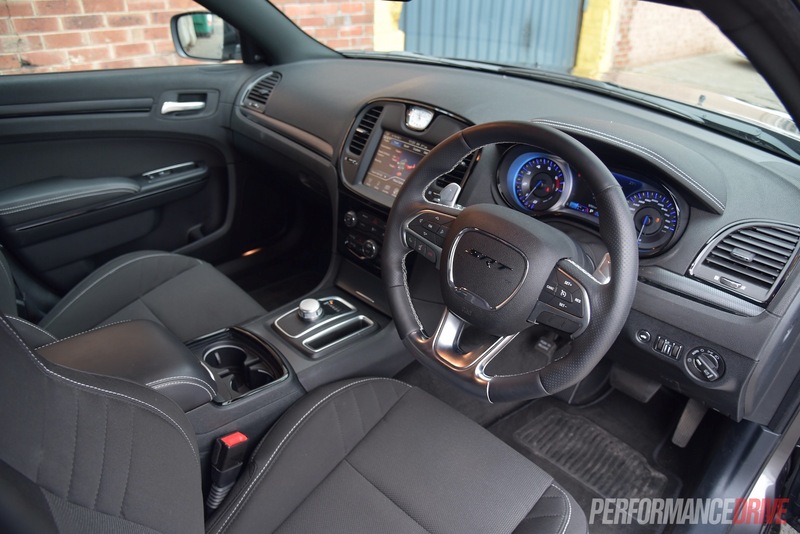 Using the paddle shifters behind the wheel there is no doubt the 2016 model is a more dynamic and quicker vehicle overall, particularly cross country touring and in the mountains. You can now downchange leading into a corner and the engine will rev-match and set you up for corner exit. Before, the five-speeder only left you with two real cornering ratios; second and third. And most of the time there wasn’t any need to change. 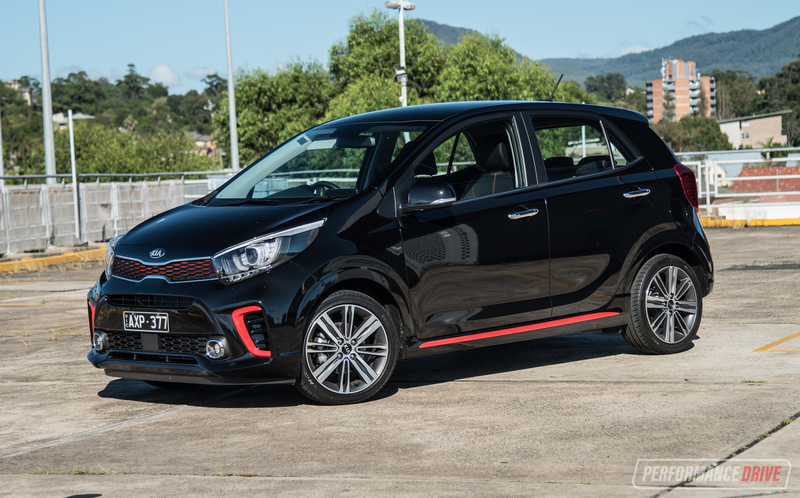 This means the 2016 model offers a more exciting tempo, and it’s more engaging because of it. 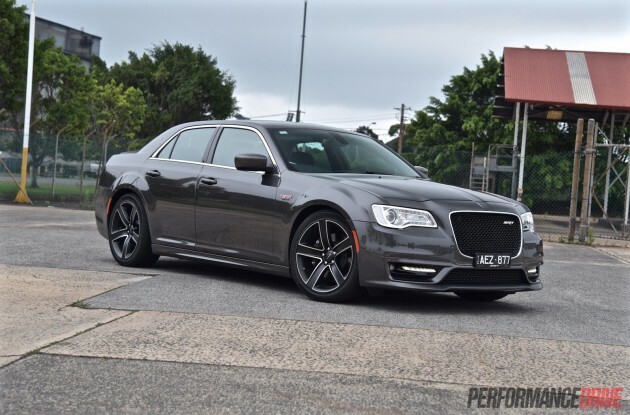 In terms of the power delivery alone, the eight-speed allows the 300 SRT to compete on a global standard. 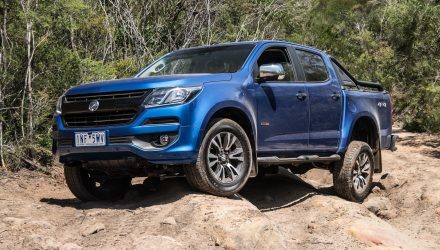 Chrysler has introduced new aluminium axles and housings to help optimise weight and to offset the new transmission which is 1.8kg heavier than the old five-speed. As a result, tare weight remains exactly the same, at 1946kg (according to RedBook data). The weight can be felt as it irons itself down the road, but it is surprisingly athletic in higher-speed stuff. As we found out on the track with the previous model, the tight mechanical limited-slip differential allows you to perform drifting quite easily. 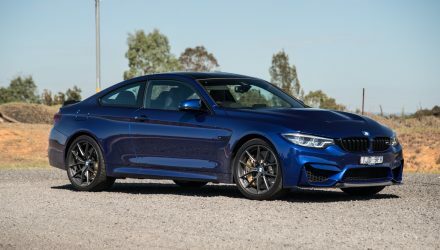 The long wheelbase and overall length of 5089mm makes it very predictable and manageable, even during long powerslides. 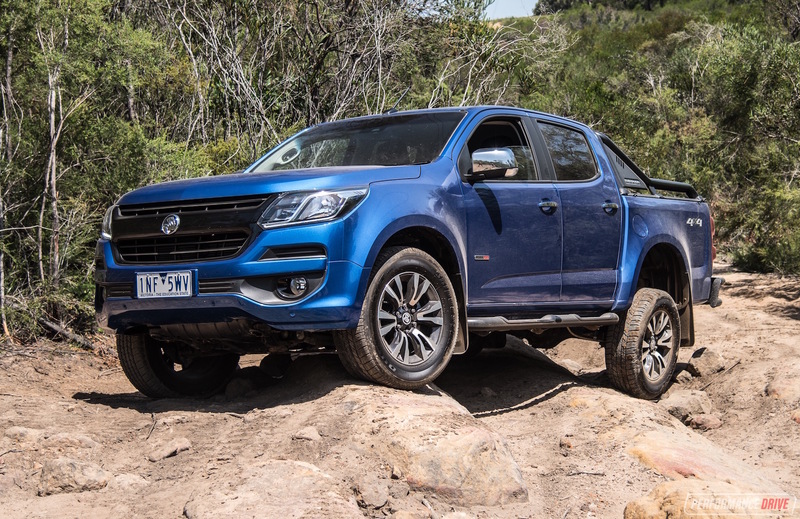 Around a tight mountain road the body composure and steering can be unsettling, but the more you push it the car seems to respond better and better. 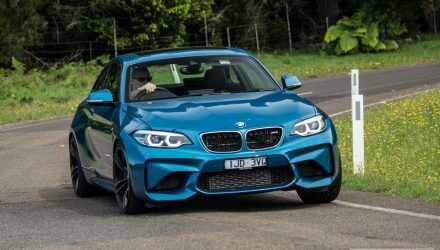 Switchbacks are the car’s Achilles heel, as the body and sheer weight can’t keep up with swift directional changes as well as most of the rivals. Sweepers and even hairpins are the most enjoyable, with a confident lean and planted stability around big bends, and a certain amount of rear-steering with the LSD and a stab of throttle to bring the back end around. After all of the improvements the new model isn’t actually any quicker than the previous five-speed model. Well, for specific acceleration runs anyway. We timed a best 0-100km/h of 4.9 seconds (with and without launch control), and a best quarter mile of 12.9 seconds. These are identical times to what we achieved in the 2013 SRT Core. However, again, it’s the cross country agility and overall performance that shines brightest compared with the predecessor. The best part about this car is the character it has. It is the ideal car to take for a Sunday afternoon cruise down to the beach for some fish and chips. 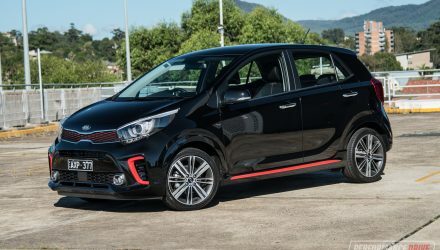 It purrs and grumbles along like a street machine, with the chop-top-like cabin providing a memorable and theatrical motoring experience for all passengers. 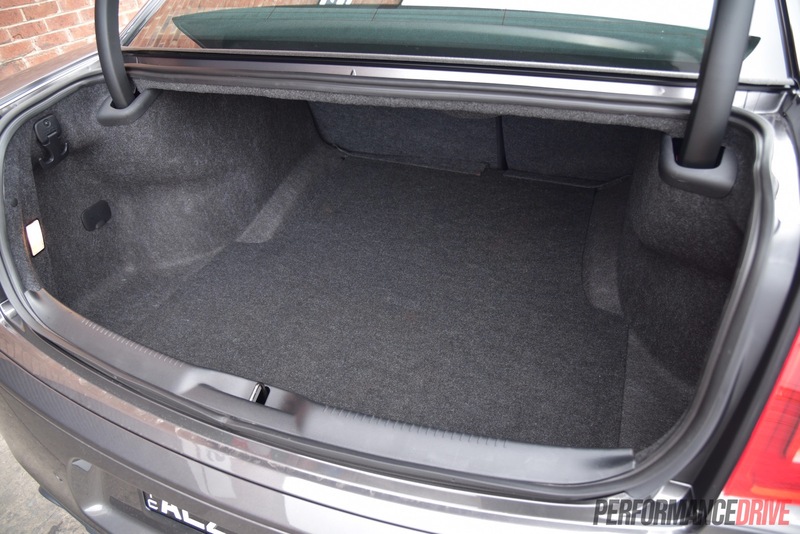 As a bonus, dynamically, it is noticeably improved over the previous model and you’re only paying an extra three grand. 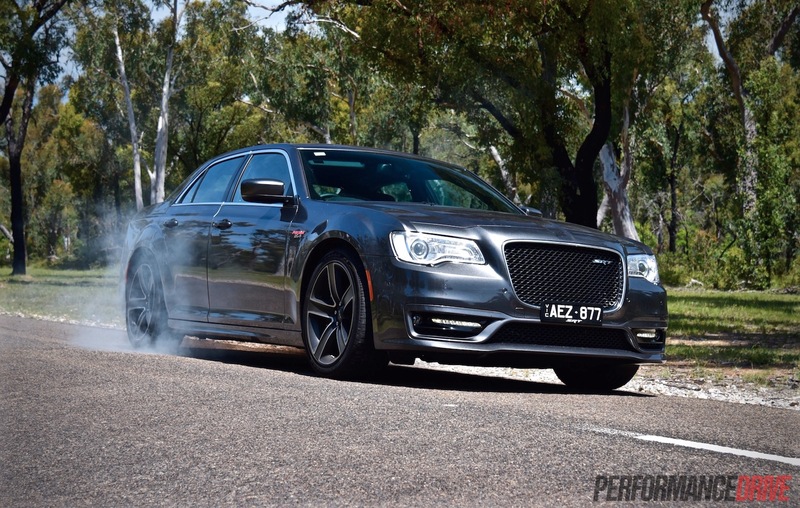 The Chrysler 300 SRT Core obviously isn’t for everyone. Fuel economy rarely drops below 14L/100km at the best of times, and the sheer length will frightened plenty away when it comes to parking. As we’ve said before though it’s the personality of this car that attracts most. You’re not just buying a modern muscle car with credentials, you’re also getting a lifestyle. And all for a reasonable price. It remains as one of our favourite muscle machines.